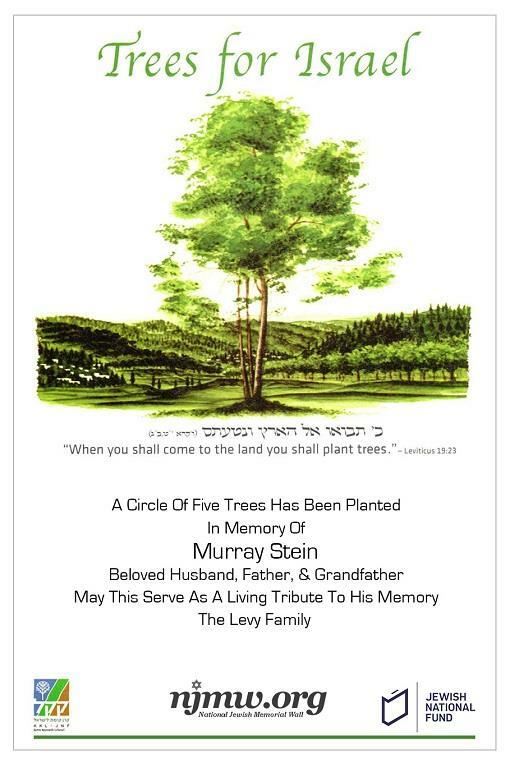 Plant a tree in Israel to memorialize family, friends and loved ones. This is a meaningful and traditional way to show you care and help green the land of Israel. Along with each order, a beautiful certificate is mailed to the recipient with your own personal message. Over the last 100 years, JNF has planted over 250 million trees in the land of Israel. How many trees would you like to purchase? JNF certificates can now be framed in a 100% eco-friendly wood composite frame, with a rich Brazilian walnut finish and silver trim.